"Jacks Bar, set on a charming leafy back street behind Southwark Tube, is the perfect place to unwind after a days work with a fresh beer (we have Meantime Tanks in residence that mean it really is fresh!) or a cocktail. Atmospheric and fun, we live in a cavernous brick arch full of character; decorated in a relaxed homey vibe we've got original art works on the walls and a Ping Pong table on Monday nights for you to enjoy. Later on in the week we have live DJ's to get your weekend started early. With our tasty burgers, pizza, wings and dogs (we serve Big apple Hot Dogs! 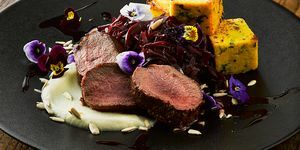 - the best in Britain some say) you can have a delicious American style dinner at Jacks too. Try our Pulled Pork Bun, its our best seller and full of delicious homemade barbecue sauce!" What did you think of Jack's? Jacks Lounge is a great little venue with a surprisingly good atmosphere - everyone seemed intent on having a really good time which ensured we did too. If you have the chance to visit Jacks Lounge then give it a go - it's a lot of fun. Jacks Lounge was a very nice experience - how very kind of him to invite me! No seriously, this is a nice venue with some pretty good nosh that's much better than your average bar food. Jacks Lounge is certainly worth a visit. There's an understandable reason as to why Jack's closes at midnight.There are homes nearby & we locals, although loving the Isabella Street bars, need to get some sleep at night!I am one of those neighbours who supports our local restaurants but, please have some compassion for us,12 pm is late enough! I hadn't been to Jacks for a couple years, and its was in the summer and the place was jammed! met up with some friends, and was impressed with calm and polite staff, table service!! I haven't had table service in a bar since being europe, at last a place where there isn't a 6 nations scrum at the bar, because you don't have to, excellent outdoors nicely covered up, with heaters, and almost unbelievable a polite door man, well done Jacks, I'm impressed! I organised a birthday in the private room and it was just excellent. The venue is really nice, good vibe, the staff very cool and caring, drinks and food very good. Fully recommended! Thanks a lot! Our company held their Christmas drinks at Jack Bar, the back room was booked which was comfortable and held 40 to 50 comfortably and food was arranged to be delivered during the night. Jacks Bar arranged for us to have waitress service all night as we had left a tab behind the bar. I have been arranging these functions for many years and can safely say we have never been treated so well during the holiday season. Great location, good food, good drink and very good staff, couldn't recommend this bar enough. Jacks Lounge was a lot of fun. Decent range of drinks and craft beers, great location for people across the city coming together and good party tunes. The menu was pretty decent too. I'd recommend Jacks for lighthearted drinks with mates. a lot of fun was had. bar staff good fun - menu and food was decent and good tunes to keep the party flowing. i'd recommend for good time drinks with a group of mates. After a disaster of a 1st bar Carriage something, (rubbish service, terrible music) called ahead when I saw venue hire, booked a table, had table service! Finally got good music & decent drinks, night out saved! Thank you Jacks! Had a banging night in Jacks; DJ, cocktails, Brews and the wings were amazing. Definitely going back! I went to Jack's on Friday night after work. I booked a large table. We all had a wonderful time. The atmosphere is great. Table service is excellent. Staff are v friendly. Toilets are clean. Dj playing excellent funky tunes. All in all a great pub to meet friends and have a chat. We also ordered sharing small plates of food which were delicious. A few of my friends ordered the burger and it looked excellent. The only drawback of this pub is it closes at midnight. It would be excellent if it opened till 2am. I will definitely be returning. Really great place to visit. The menu has a very good selection of tapas/finger food. The mini-burgers & the hoi-sin glazed sausages were especially scrummy. The selection of cocktails was very good too & the bartenders were all very friendly & knowledgable about the drinks available. Was a large group of giggly girls in the back having a cocktail lesson which looked great fun too. Will definietly be back again soon! Great new food menu there and now doing lunch thurs & fri too.....am slowly working my way through the menu, the micro-burgers and the giant onion rings are my faves so far!! Great place to sit outside and watch the world go by. Good cocktail selection, always full of giggling City Girls drinking cosmo's. Love it here, specially on sunny days! I recently was handed the millstone which was organising the Christmas Party this task was made more difficult in that it was going to be self funded and therefore money was limited and had to accommodate the whole department of at least 100 people. We looked around Southwark and found Jacks Lounge to be the ideal size. We had fairly exacting requirements and Ian at Jacks lounge was able to meet all of them. We had no issues at all. There were more than enough staff behind the bar to cope and we had exclusive use of the venue. They organised a great buffet with canapes and were more than happy to cope with all dietary requirements. The price was very reasonable too. 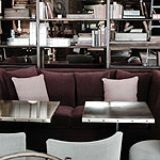 The venue itself is laid back and stylish without trying too hard. A great venue which I would have no hesitation in recommending or to using again. I recently hired Jack's as a venue for a corporate party and I couldn't have asked for a better service! The staff were fantastic, from both an organising aspect as well as on the night. The food was perfectly lovely and the venue proved a brilliant setting for everyone to relax and enjoy themselves. I would definitely recommend Jack's Lounge to anyone, and will almost certainly be returning for a party next year. A party in May is an annual tradition for my company, but it has been said that this was our best year ever!! We held our wedding reception in Jack's Lounge and had a FANTASTIC night! The staff couldn't have have helped us more - before our big day we often popped in for drinks to sort out bits and pieces and they always made time for us and were genuinely happy to see us and help us out. They really went out of their way to ensure that we had a great night, and many of our 120+ guests told us afterwards what an amazing night they had as well. 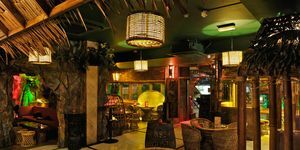 Friendly staff, good food, nice decor and atmosphere, so quite probably the best bar in the Southwark and Waterloo area! A fabulous night - thanks to all. My birthday party went with a bang. My 40th was stress free and great fun. The food was delicious (so all guests have told me- I was too busy to eat), and there was so much of it - they even made a special strudel for dessert. The staff were fun and really attentive - but good attentive - not in your face attentive and the music was great. 120 people turned up and every one of them loved the venue, the food, the drinks - the whole package when it comes to a great night out. My husband and I went to Jack’s Lounge a couple of weeks ago and came away extremely disappointed. The venue itself has great potential – although how the Laura Ashley style lamps made it into the bar is beyond me. The average service and awful food certainly ensured that we will not be returning. Do not rely on anything stated on their website. We were there on a Saturday evening, which their website states is 2 for 2 on cocktails and 30% off on food. It was in fact 3 cocktails for the price of 2 on a very limited selection and 30% off on a limited selection of food. 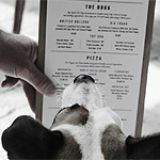 When we asked for the full food menu we were told that only the limited selection was served until 8pm as it was not profitable enough for the bar to serve the full menu even when patrons are willing to pay the full price and the menu and website actually state that it is served from 6pm. The food is also more expensive than indicated on their website. We did not want to make a scene so we enjoyed a few drinks and tried some rather horrible vegetable spring rolls. Maybe we should thank the staff for stopping us from spending a fortune on mediocre food. We ended up grabbing Burger King before we jumped on our train from Waterloo. Love the design, atmosphere and vibe at Jacks, especially the lounge seating outside. My favourite place on the South Bank, prices are really reasonable and service very good. Nice decor and atmosphere, but don't go if you're after a drink. Went on Saturday about 7 and the place was pretty empty. There were maybe 5 people waiting at the bar and three people serving yet still we waited 15 minutes every time we went to the bar. It was bizarre - so bad that we ended up joking about it with the people waiting next to us. In the Pub v Bar war of London this has to be a victory for wanky bar style winning over pub functionality. Go there for the atmosphere and the pretentiousness, but not to do anything as petty and mundane as to have a drink. Great place! I would say the best in Southwark area. Highly recommended on not busy Mondays and Tuesdays for chill out sessions. I have been going to jacks since last summer and i have to say it is my favourite bar in the area. It has a great vibe and the decor is really chilled and loungy without being at all pretentious. They used to serve tapas before Christmas which wasnt the best but now they have gone back to their original menu which is very tasty and above all good value. If you like Beer battered Cod and Chips, a Great Burger or Sausage and mash then its the perfect place for comfort food. I was delighted to see that their old manager Marek is back also. He is a really nice guy and always has a smile on his face. Im amazed the last reviewer had a bad experience. Anyway it wont stop me going back. I love it there. I have to say I couldn't agree more with the last reviewer. I was really surprised at how bad the service was at Jack's when I was there. The food was very ordinary (not like the delicious tapas Jack's used to serve) and actually there was a bit of an incident where our food took over an hour to come so we complained for the second time and this time the waitress pretended we hadn't even ordered our food and she'd never seen us before in our lives. We couldn't believe it and how rude she was - but the worst thing was, the manager backed her up! At first they offered us free drinks as recompense so we almost relented - anyone can make mistakes - but then they backpaddled and said actually we had to pay for the pleasure of their rudeness. I am so upset and disappointed at how bad Jack's bar has become. It used to be a lovely place, warm and friendly with a great atmosphere and delicious tapas to fill that space when you were peckish. It was one of our fav bars in London. I think unfortunately the management must have changed - a pity as a few of us have just moved to SE1 and were looking forward to going out around here. Jack's WILL NOT now be on our list. Unfortunately, although the exposed brickwork is still there, that's about all the charm that's left to the bar. It's definitely less buzzy now too - we are voting with our feet!!! To get on to my particular gripes, the service is downright rude and the food is rubbish - just from a personal experience tonight, they didn't bother even recording our order and pretended when we asked where it was an hour later that we hadn't even ordered in the first place (despite them telling us earlier when we chased it up that it would be 10 minutes). I know this is just my experience, so take it or leave it, but it really was one of the rudest things I've experienced in a long time (and I'm a lawyer so fairly thick skinned). They offered us free drinks which made me reconsider until they decided actually it wasn't worth giving us free drinks and charged us anyway. Unbelievable!! Anyway, feel free to take your chances, but there are much nicer pubs and bars and eateries around the Cut so please don't let places like Jack's rest on their laurels. Vote with your feet and go to the Anchor and Hope, Baltic, Livebait, The Windmill, the bar in the Young Vic or Old Vic, The Ring, Lounge 34, Imbibe or any of those other great places and let's keep SE1 a nice place to go out in. With an enviable residency under the railway arches by Southwark station, Jack’s is a roomy and well liked purveyor of cocktails, craft beers, pizzas and hot dogs. Accessible via a narrow walkway running alongside the railway line, Jack’s is immediately made noticeable by the burgeoning hanging baskets and tall potted plants surrounding its patio entrance. In the evenings, this large seating area is kept toasty warm by a number of heat lamps, offering customers a rare opportunity for comfortable al fresco drinking during the winter months. 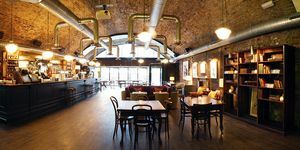 The interior is impressively cavernous, with decor that is partly in keeping with its industrial outer shell – including exposed brick walls and pipe work – yet softened with some homely bric-a-brac, and comfortable, lounge-worthy furniture. Jack’s tends to become bustling during the evenings, but the venue’s size means it avoids feeling overcrowded. The clientele is an eclectic bunch: from suit-clad business people dissecting the day’s events, to cocktail-swigging gaggles of young women and a more hip east London contingent who are perhaps lured in by the downtown Brooklyn-inspired setting and on-trend ‘dude food’ that's on offer. This all makes for a pleasingly buzzing and fun atmosphere, and the efficient staff ensure that arduous queuing at the bar is kept to a minimum. Background music largely alternates between indie and bluesy rock ‘n’ roll. Hot dogs and pizzas are the order of the day, the former available in two different forms (both £6) – the British Bulldog blend of pork and beef, flavoured with sage and cayenne pepper, and the Big Frank XL frankfurter seasoned with paprika. Additional toppings (50p-£1 each) include a classic smothering of fried onions, rich and mellow mature cheddar, and some sharp and crunchy sauerkraut to add balance. The pizzas are mainly tried and tested favourites, and a classic Fiorentina is comprised of a light, crispy base, fresh spinach and a perfectly poached egg at the centre. For sides, a portion of chilli cheese fries (£4.50) is hearty comfort food that does not scrimp on its spicy beef topping. The bar specialises in cocktails (£8.50 each) and even runs its own cocktail classes, largely geared towards hen dos and the more relaxed brand of corporate bonding sessions. Concoctions include a Passion Fruit Martini (also available in apple) that is bursting with sharp, sweet fruit flavour with a suitably boozy undercurrent, and classics such as Caipirinhas - correctly served with a healthy dose of fresh lime – Bellinis, and Daiquiris. Ingredients are all of a high quality, and evidently prepared with due care and attention. 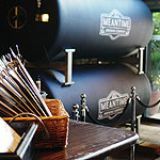 Elsewhere, a sizeable beer list includes both Meantime (made apparent by the large branded barrel displayed at the side of the bar) and Brewdog offerings, as well as Belgian and American bottled beers like Duvel and Goose Island IPA. The succinct range of wines is perhaps not the venue’s strongest point, though. 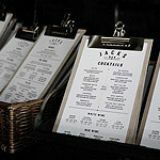 Overall, Jack’s is a venue that makes good use of its impressive space, and the lively atmosphere and broad range of tasty, reasonably priced food and drink should be enough to cheer up most customers.